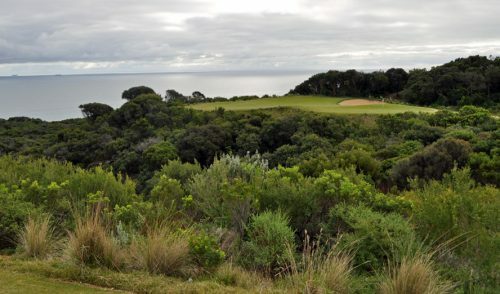 The invitation to help out with a review of The Legends course at Moonah Links was a very pleasant surprise and got me thinking about this terrific attraction us Melbournites have sitting right on our door step: the Mornington Peninsula. Close to the beach, laid back and local is how I would describe the peninsula. Pub food, seafood and expensive food are available in spades. Its not overly touristy and the level of engagement of locals is generally very good. Harold Holt loved this region and ultimately laid to rest here and the sense of history is also an attraction. 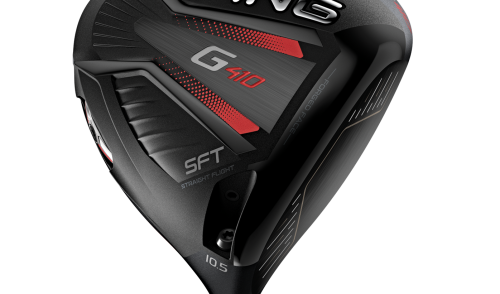 And heading to the region for golf has never been easier. Even from the inner city suburb of Port Melbourne on a Thursday afternoon (escaping the office at an outrageous hour) my journey was only just over an hour. I hit the Monash Freeway with gusto until Mulgrave, then took the new East link freeway to Frankston and then the Mornington Peninsula freeway until I was very close to my destination. I even had time to hit the practice fairway (not really), although the hospitality and beer in the clubhouse put me in a very good frame of mind for the tough first hole. 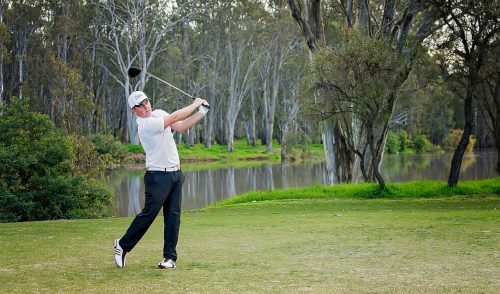 I have been playing the Peninsula courses since 1982 and the growth and increase in the number and quality of courses, including the two at Moonah Links, has been staggering. 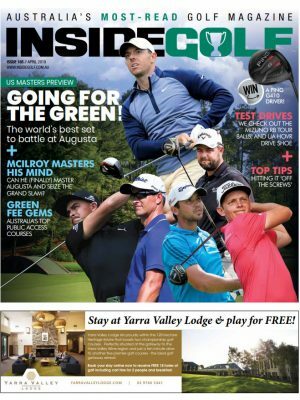 Is it one of the top destinations in world golf? Yes. The quantity and quality of the courses in this region answers this question outright. The number of choices is around 18 and therefore a week’s visit is easily warranted. 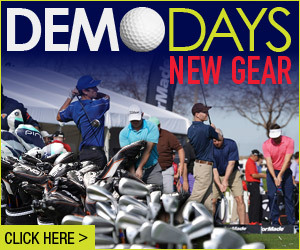 In fact, you could easily spend two weeks playing new quality courses every day if you wanted to. 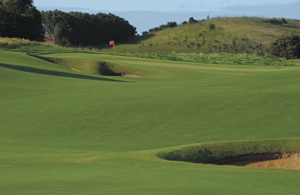 Of course, our task on this particular day wasThe Legends Course at Moonah Links and it is undoubtedly in the top handful of layouts in this very competitive golf area. The course is spectacular from the start, a sweeping downhill par 5 that gives a taste of things to come. Each hole is named after a great of the game and the strength of the course, for me, is summed up by the following: playable, rewarding, insanely good quality and a sense of isolation. Having played The Legends twice ( two years apart), I struggled to remember a lot of holes and this is, in fact, a strength of the course – each hole is unique.There is no sense of up and back, no sense of repetition and indeed one of Victoria’s greatest ever, Ivo Whitton (hole 17 named after him), would have been a big fan of this course. Not convinced yet? Come down and try the Legends course for yourself and you will be a fan forever! When Moonah Links first opened the Open Course I was quite happy driving out of the car park after my first game.That’s one tough course, especially when the wind blows. No doubt you’ve read the pro’s comments when the big tournaments are there over the years. Most of them don’t enjoy it. I suppose it’s different when they are trying to pay the rent. When you play these links type courses you really can’t try and shoot a course record or a PB. It just won’t happen. I’m now trying to enjoy and respect the course and scenery. I look at the layout and try and see through the designer’s eyes why and how he designed each hole the way he did. You will really enjoy the day a lot more with yourself and playing partners if you approach it this way. I’ve played the Open course five times now and I’m starting to enjoy it more each time. I knew The Legends course existed but to be honest, I wasn’t too keen to play it. For the past couple of years, though, friends keep telling me you must play the Legends course because it is awesome. So we did last month and I can tell you now that I won’t be playing the Open course ever again! The Legends was a revelation, sensational in every way. Wide fairways (any social golfer can enjoy this course), generous greens and you won’t find 530m par 5s or 420 m par 4s. From the tips it’s only 6300m.You will enjoy this course no matter what your ability is. With on course accommodation, a heap of other courses around the corner and plenty of pubs and clubs to visit…it’s a perfect two to five day trip with your social club or friends. The facilities at Moonah Links are awesome and you must try some lunch or dinner in the restaurant overlooking the par-5 18th of the Open course. The sun sets right over it and is truly unique for a golf course. When you visit these types of courses it’s worthwhile taking a peek at the merchandise in the pro shop. You can get plenty of items that will remind you of a fantastic golf experience. The Open course was designed to test the game’s elite while The Legends was designed for the rest of us, and both do their job well. From the opening par-5 with a huge, intimidating bunker in the driving area to the par-3 16th boasting the southern hemisphere’s biggest putting surface (you have to see it to believe it) the fun factor at The Legends is high at every turn. Winding through the sand dunes with the wind coming off the nearby water leaves you in no doubt you’re in links country and that UK feel is enhanced on a couple of the standout holes on the course. The par-4 4th, a severe dog leg left from an elevated tee with bunkers in the landing area, is the first to really grab the attention. The further you bail out right away from the sand, the longer the up hill shot to the tricky green becomes. The brave, or foolhardy, can hit a big draw with the driver into a small area less than 100 metres from the green but any miss will be extremely costly (and the carry across the bunkers is close to 240 metres). The second standout hole for me was the short par-4 11th. The last decade or two has seen more and more driveable par-4s built into courses and this one is a fine example. Just 272 metres from the plates, and 260 from the forward tee, any sort of tailwind will make the temptation to have a go almost overpowering. Be warned, though, that like all good driveable par-4s disaster awaits the poorly played shot. Bunkers left and right, a wild dune short right and rough covering the last few metres of the approach to the putting surface all leave awkward second shots. Of course if you can stand the cat calling (“meow” was heard more than once as I reached for my 4-iron) par should be relatively easy by laying up in the wide fairway and pitching on. While these two holes are the standouts the rest offered plenty to keep the journey interesting and, most importantly, fun. The Legends ticks all the boxes a resort facility should. 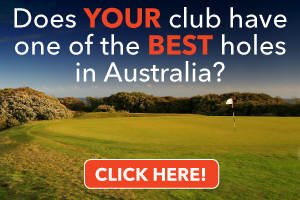 If you’re going to Moonah Links (highly recommended) you’ll want to play both courses and I reckon most golfers will enjoy each but for different reasons. My advice, though, would be to play The Legends second. After being beaten up on The Open course, The Legends will feel like slipping into a warm bath after a hard day in comparison.